Elizabeth's 1st Birthday Party Mama Say What?! | Mama Say What?! 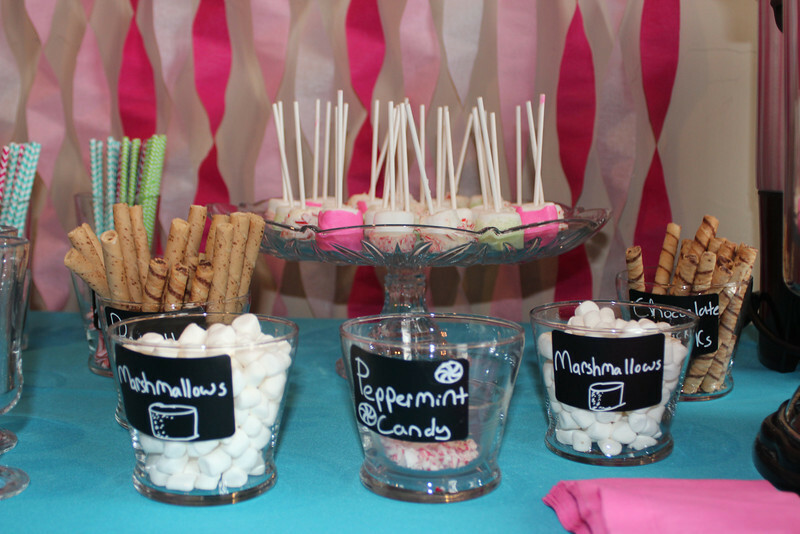 When I first saw photos of this party I KNEW that we had to feature it on MSW! Michelle is such a crafty, fun mama… and Elizabeth’s party just goes to show how awesome she is. I love the hot chocolate & cider station! I so want to have a winter party now just to do that. Enjoy all of the beautiful photos from this party. I know I sure did. 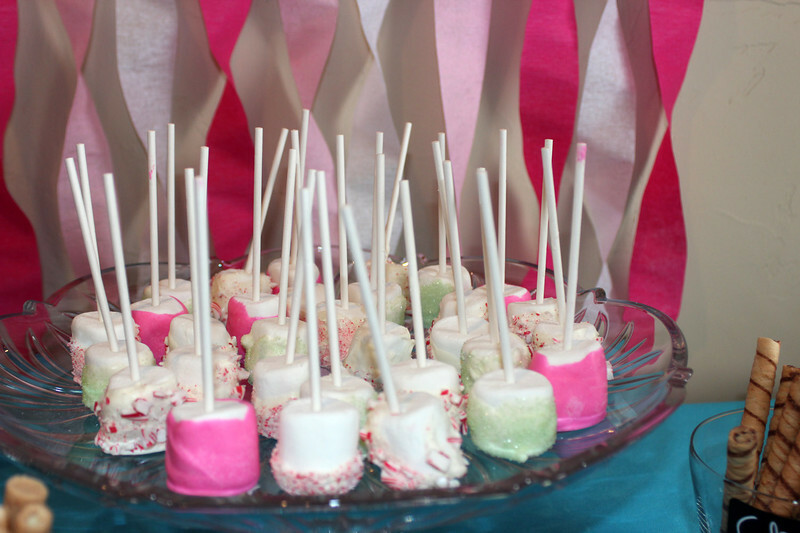 What inspired the theme of your child’s party? I decided on a pink and aqua color-scheme because those are the dominant colors of Elizabeth’s nursery. I found a few precious dessert table inspirations on Pinterest, which then led to the idea of a creating a sweet and girly hot chocolate and cider station, versus a winter-themed station. 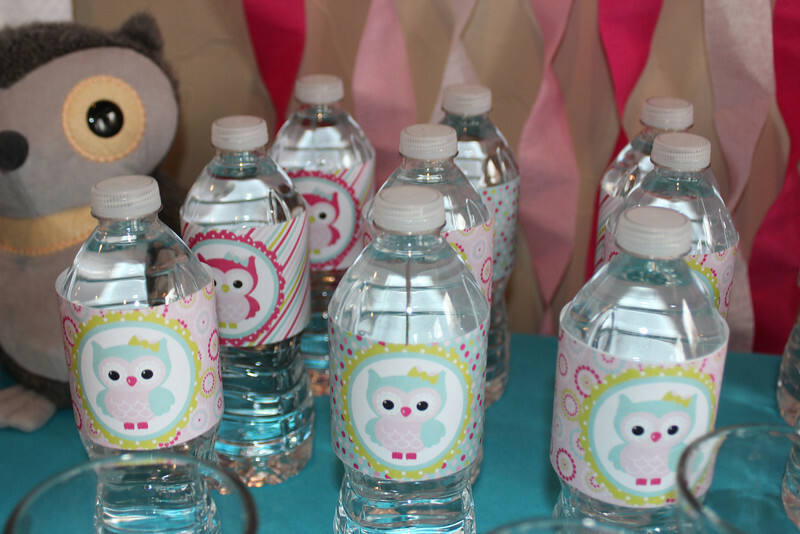 After those two elements were decided on, I ordered a party suite that featured our colors and some cute little owls. With Elizabeth’s monthly pictures featuring both an E and an owl, I wanted to add in those elements as well. What was one element of the party that you are particularly proud of? The drink station had to be my favorite part! 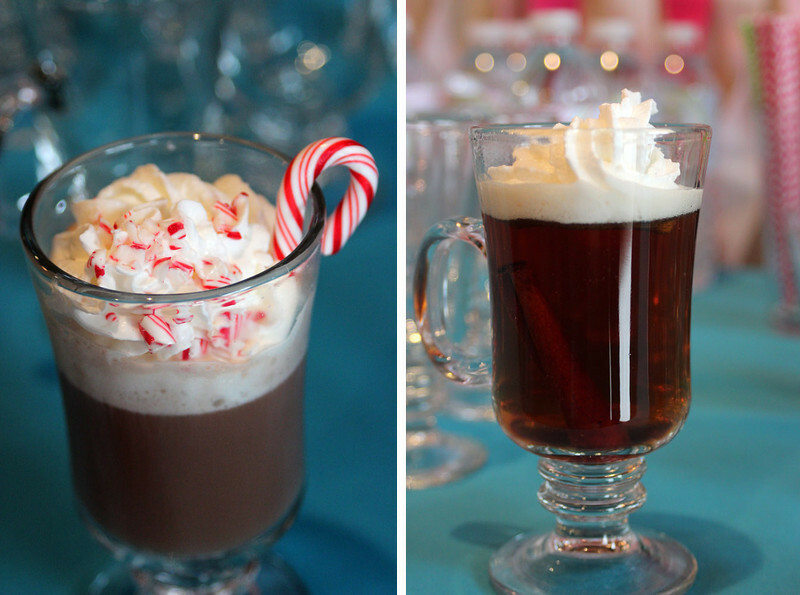 The streamers as backdrop really set it off, and our guests had fun creating custom hot chocolate and spiced cider drinks! I used vinyl chalkboard stickers and chalk markers to label all the toppings. The morning of the party, my sister-in-law and nephew helped me dip the marshmallows in melting chocolate and roll them in sprinkled and crushed peppermint. Although no one really ate them, they looked cute on the table. Did you work with any vendors? If so who and what did you like about them? Almost everything was purchased off of Etsy and I was very pleased with each of the ladies I worked with! 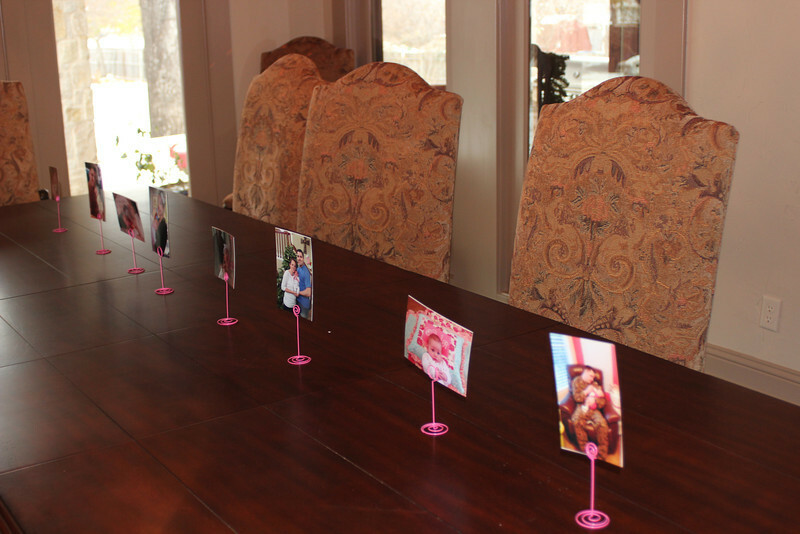 Rachelle, of Rachelle’s Printables, kindly answered all my questions about getting high-quality prints from the PDF files she created for the party. Meg, of JoyfulJossyBowtique, had made custom headbands for me before and is someone I will continually order from in the future. 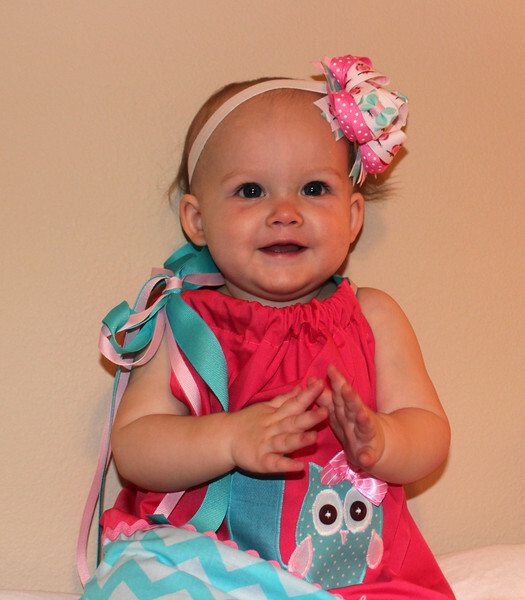 Susan, of Sprinkled Sweet Designs, made sure Elizabeth’s dress was here in time for her party and the quality was great! The dress was literally perfect and now being used as décor in E’s nursery. What was your favorite moment of the party? Having (almost) all of our family gathered, celebrating and loving on my daughter. It was bittersweet though; celebrating the fastest and happiest year of our lives. Elizabeth loved all the attention and watching her play with all her gifts was wonderful, too! What was your birthday girl’s favorite part? Not the cake, that’s for sure! 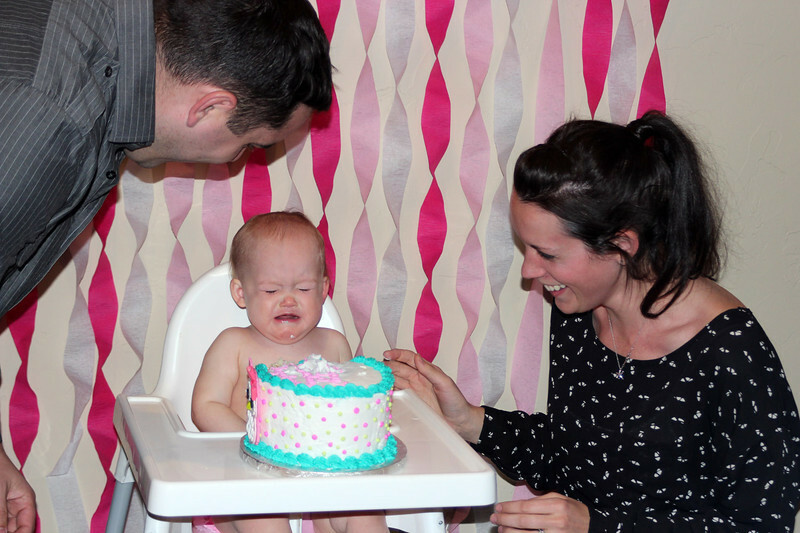 Elizabeth was absolutely terrified of the cake and refused to touch it. When her daddy helped her to put her hand on the cake, she started screaming and climbing out of her highchair. It was so funny and sad at the same time! Her favorite part was being the center of attention and having so many arms to hold her. 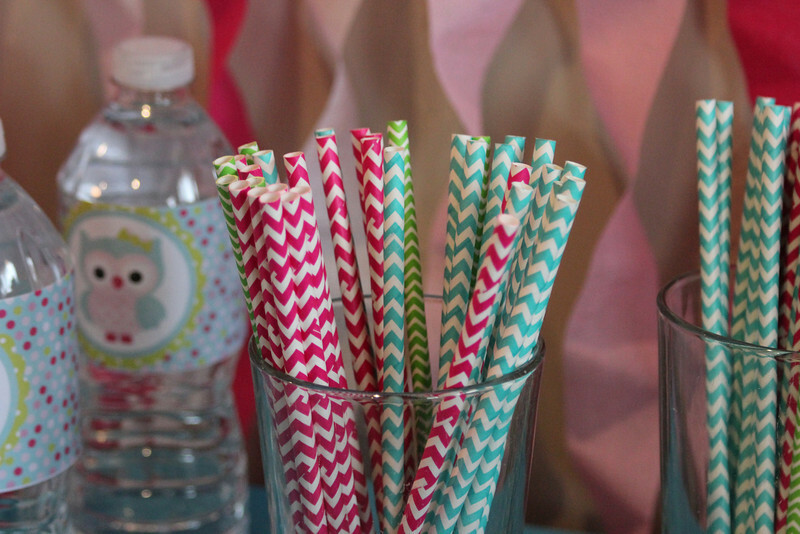 Can you give any advice to mamas that are planning a party for their little one? Once the party starts, stop stressing and start enjoying! I handed my camera off so my husband and I could enjoy our daughter, friends, and family. We spent around $250 on the party. Added by Cari H. on January 16, 2014. What a fantastic birthday party! 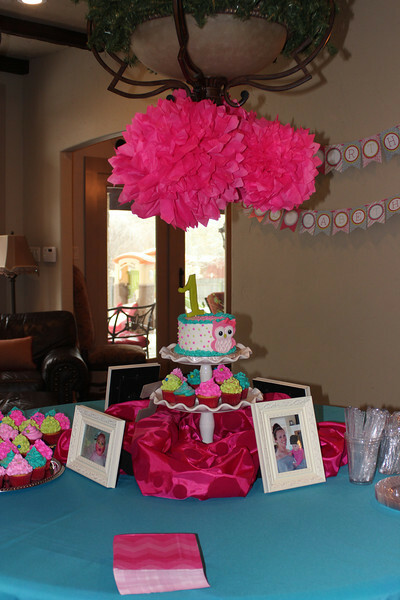 I love the bright colors and the fun details, great job mama! My son wouldn’t touch his birthday cake either. I just noticed this, I love how you carried over E’s color theme from the nursery to the birthday party. Very cute! I noticed how you carried over E’s nursery colors to the birthday party. I love the idea and it turned out very cute!